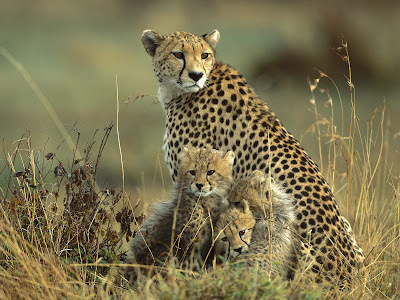 The cheetah is one of the big wild cats. 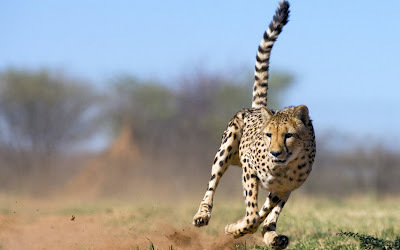 The cheetah is the fastest animal in the world, taking only 3 seconds to go from 0 to 60 miles (96 kilometers) per hour. Even at high speeds, the cheetah is nimble and can make quick and sudden turns in pursuit of prey, using its tail for control. 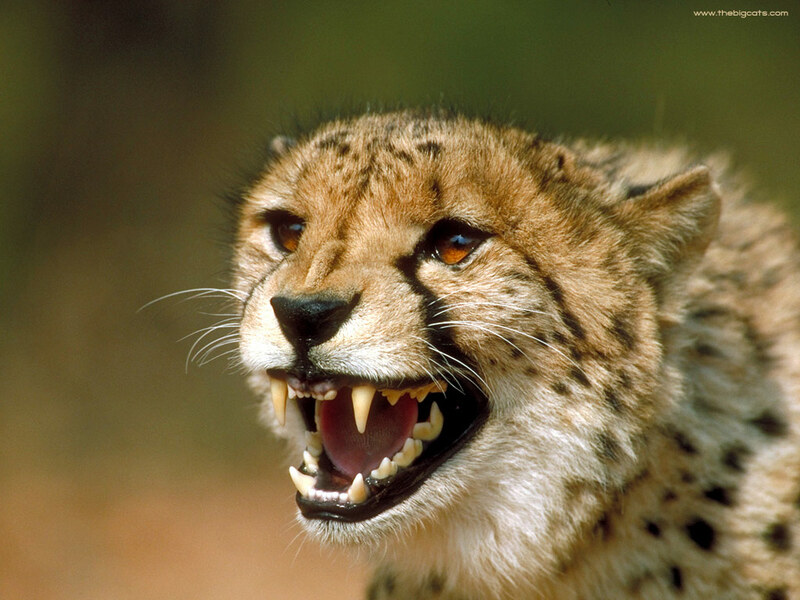 Cheetahs are known as the most efficient predators in the wild. Cheetah approach prey slowly with its spotted fur camouflaging it among the savannah bushes. When the prey is within range the cheetah will chase and pounce quickly. This animal is quite smart with its ability to detect the weakest animals. The cheetah will need to end his hunt quickly because it is a sprinter, not an endurance runner. But the speed at which the cheetah runs down its prey usually results in the prey tipping over and falling, which leaves its throat vulnerable for the cheetah’s killing bite. 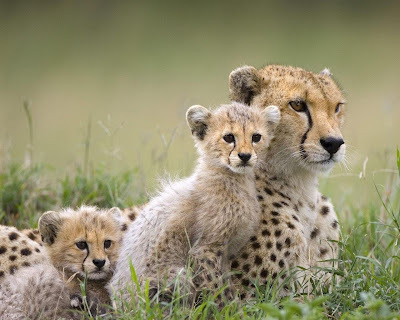 Cheetah hunts last usually less than a minute. Cheetah have a short and coarse yellow fur with round black spots measuring 2-3 cm. The coat is a very effective camouflage when the cheetah is hunting. 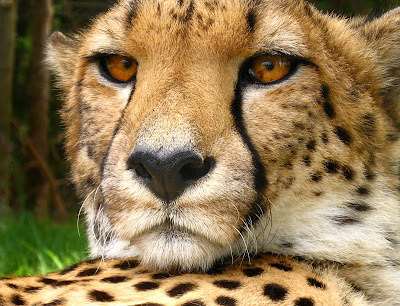 Cheetahs have a small head with high eyes. They have a pattern of "black tears" from the inner corner of each eye down the side of the nose to the mouth to keep sunlight out of the eyes and to assist in hunting and seeing long distances. Cheetah females usually have a litter of three kittens and live with them for one and a half to two years. Young ones spend the first year learning from their mothers and practicing the techniques of hunting through playing games. Male cheetahs live alone or in small groups, often with their littermates.